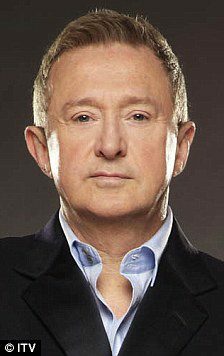 Simon Cowell has been hinting to the world for many years now that Louis Walsh was losing his hair and this probably helped Louis make his decision to have his £30,000 hair transplant. What a great decision, Louis has certainly reaped the results and now has a head of hair that looks fantastic, with a near perfect hair line. Hair Transplants are becoming very popular ever since Wayne Rooney had his done along with, Duncan Bannatyne and Jason Gardiner, the FUE or FUT procedure has never been so popular and that is because it has come along way from the old style of hair transplants which used to portray a head of hair very similar to a dolls head. Hair Transplants in Leeds are also becoming very popular and we have had an increase in enquiries over the past three months. Total Hair Loss Solutions will certainly not be charging any where near the prices the celebs are currently paying, so do not let the thought of paying £30,000 put you off. Our prices will start from £2,500 and you will get an equally great job. Have a look at our hair transplant Leeds page or a better understanding of the FUE and FUT procedures or simply call 0113 269 3111 for a free consultation.